It’s safe to say that pumpkin is officially out of control. You know a flavor profile has reached new highs when Oreo comes out with a seasonal version. There are worse flavors we could obsess over. Candy corn, for example, seems to be a budding trend that I just don’t quite understand. Candy corn has very little flavor. It’s just sugar and corn syrup – does this mean America’s next fall obsession might be straight sugar? Pumpkin is at least versatile and technically a vegetable (requiring very little processing even in its puréed form). We can’t seem to get enough pumpkin these days. From pumpkin spice Oreos to pumpkin spice latte burgers (yes, really), there’s more and more of this popular flavor combination every year. And why not? The pairing of this seasonal squash with sugar and comforting cloves, cinnamon, and nutmeg can be almost addictive. This is also why many classic recipes are so easily adaptable to a pumpkin spice version. Although Pumpkin may not have been a common ingredient at the height of my grandmother’s career, the spice mix was. My grandmother used these spices in her simple spiced sponge cake recipe, which I used as a base for this pumpkin cake roll. I often wonder what my grandmother would think of this pumpkin explosion. I’m sure she would have first perfected pumpkin pie and then possibly expanded to pumpkin cookies or bread. She may have stopped at that point or continued on a quest to master the best of the pumpkin recipes. This type of cake roll would have been somewhat abstract for her but I was inspired by the pumpkin craze and decided to merge her chocolate roll/yule log recipe with her spiced sponge cake one. The light whipped mascarpone cream is what differentiates this from other cake roll recipes that often use cream cheese frosting. I have nothing against cream cheese frosting (love it on carrot cake) but those of us who are somehow offended by it may prefer this light whipped cream to help balance the spice of the cake. 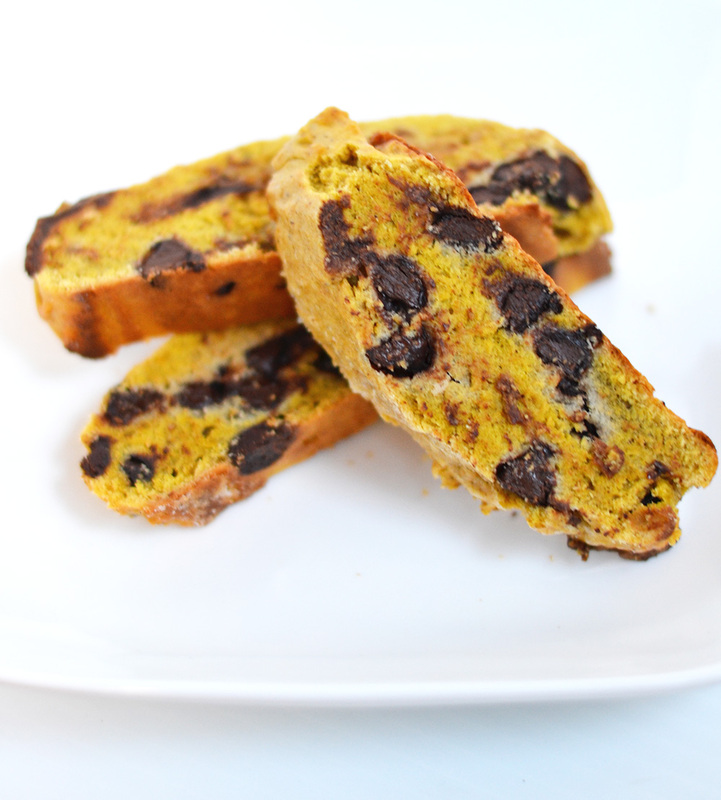 The rich buttery taste remains but without the sourness often experienced with cream cheese. 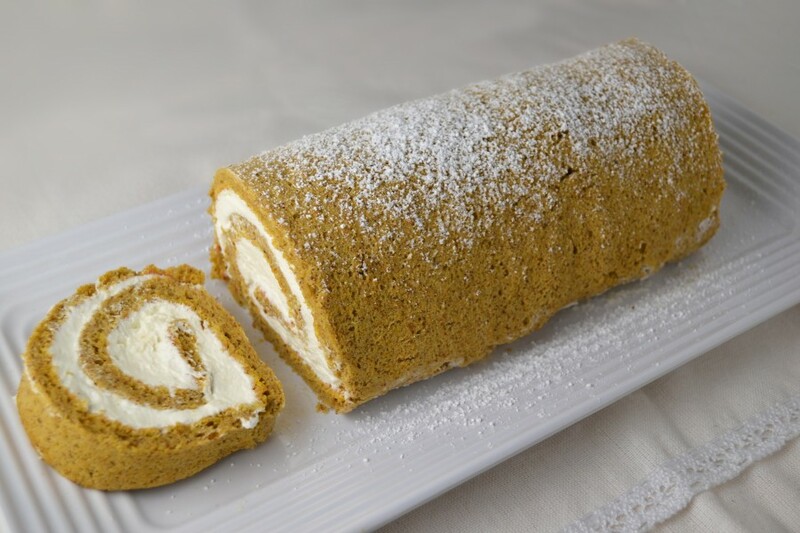 If you’re not tired of pumpkin yet but don’t want to stray too far from the classic pumpkin desserts, a cake roll could be the sweet finish to end your Thanksgiving meal. Stir yolks with a fork to break them up. Whisk in pumpkin. Add vanilla. Fold a quarter of the stiffly beaten egg whites thoroughly into egg yolks. Pour egg yolk mixture on top of remaining whites. Sprinkle corn starch, flour, and spices over mixture. Fold all very gently together until no pieces of egg white show. Careful not to over mix. Beat heavy cream until soft peaks form. Add vanilla and 1 tablespoon powdered sugar. Continue beating, gradually adding remaining sugar, until the cream holds stiff peaks. Carefully bear in mascarpone cheese until just combined. Place cake on a sheet of wax paper large enough to extend at least 1 inch on all sides and dusted with powdered sugar or a little flour. Spread cake with whipped cream. Lifting one long side of the wax paper, roll pastry inward. Continue to lift wax paper while pastry rolls up, jelly-roll style. Twist wax paper firmly around cake roll to help give it shape. Dust with powdered sugar. This recipe might be over the top. It didn’t start out that way but before I could realize what was happening, I had created the most delicious and elaborate Stuffed Baked Apples with Homemade Caramel Sauce that I have ever had. The plan was originally a minimalist approach. 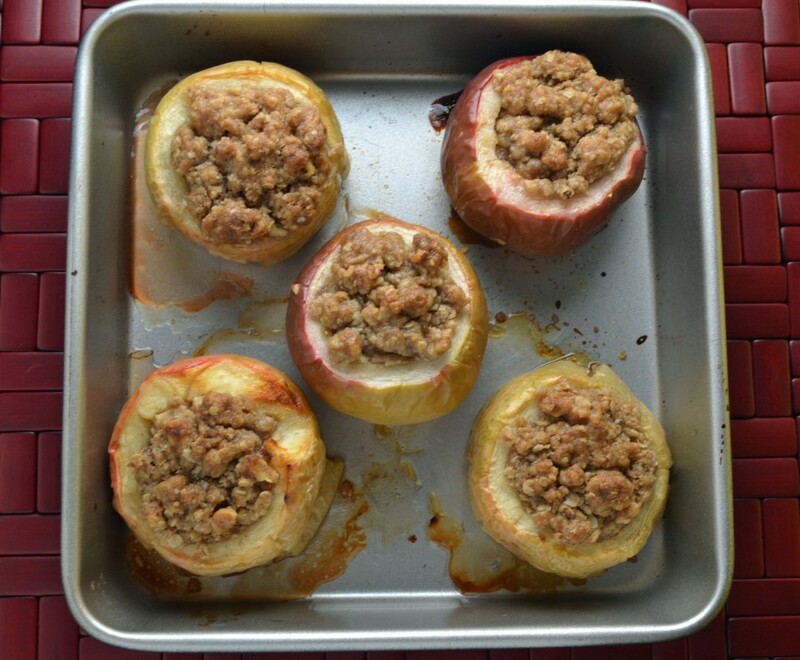 My grandmother doesn’t have a baked whole apple recipe (though she has many other apple recipes) but her mentor, James Beard has a very simple one in “The James Beard Cookbook.” It offers a few options of varying spices for the cavity of the apples but doesn’t venture as far as stuffing them. It even offers a flamed version which involves pouring heated alcohol over the apple and igniting it (“bring to the table blazing”) but I thought it might be best to avoid burning down my apartment building or at least the complaints of “fire smell” from the neighbors. Perhaps I will wait for a special occasion. I settled for a simple spiced baked apple. But I couldn’t help feeling that something was missing or that it somehow lacked the excitement I was looking for. That’s when I decided to stuff it with crisp. Apple crisp is a favorite I make at least a few times every fall. It’s hard to go wrong with oats, sugar, butter, flour, and cinnamon so why not stuff a whole apple with this lovely crumbly topping? This simple baked apple was getting more interesting. I then thought about those lonely parts of the apple that wouldn’t be exposed to the tasty crisp. Perhaps it needed a sauce? Enter my second favorite apple accompaniment: Caramel. And not just any caramel, easy homemade caramel sauce. 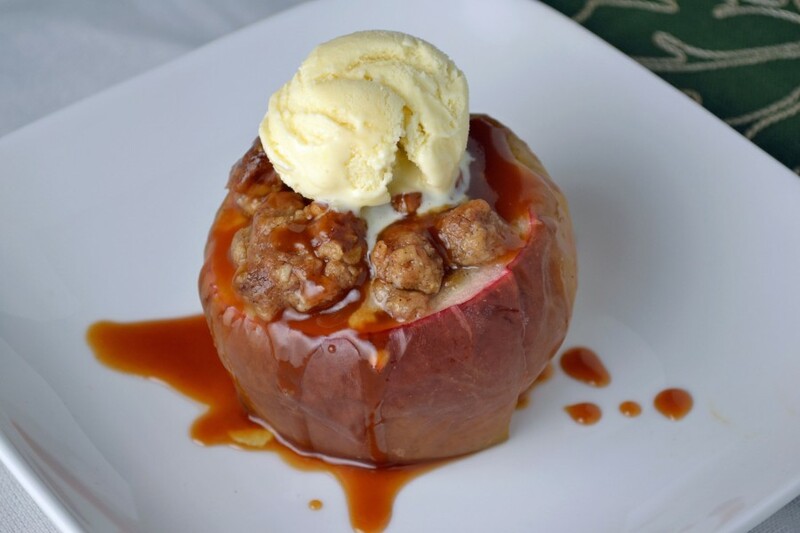 Drizzled over the finished juicy baked apple stuffed with the cinnamon spiced crisp, it’s a combination to die for. I was already out of control so I topped the finished warm apple with a small scoop of vanilla ice cream. Melting into the crevices of the crisp and dripping down the sides of the apple while mixing with the caramel sauce, excessiveness never looked or tasted so good. Preheat oven to 350 degrees. Lightly grease a shallow baking dish (large enough to hold all of the apples). Combine flour, sugar, salt, cinnamon, and oats in a medium mixing bowl. Add diced butter and mix until well combined but still a little crumbly. Set aside. Slice the tops off of apples. Carve out the core and some of the flesh, leaving about a 1/2 inch border. Slice lemon in half and rub the cavities of the apples with lemon to stop from browning. Sprinkle the cavities with cinnamon sugar. Scoop crisp mixture into apples until full and rounded on top. 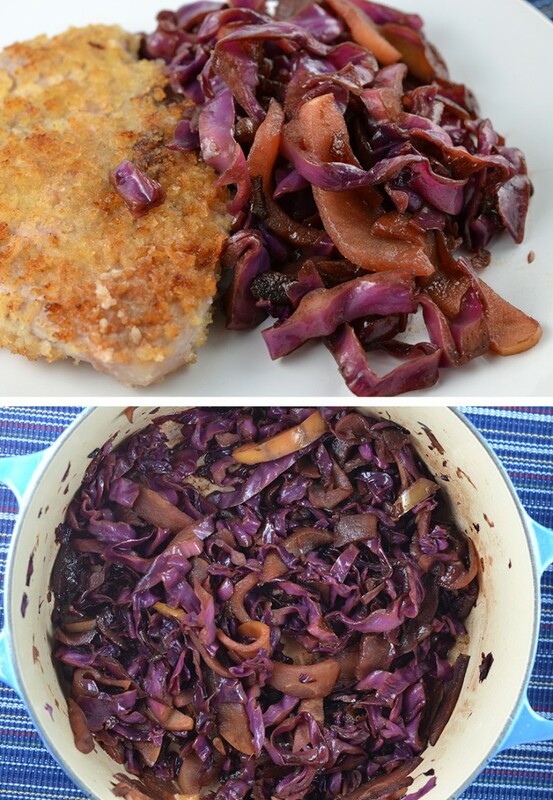 Place apples in baking dish and bake for 30 minutes or until apples are soft and can be easily pierced with a fork (baking time may depend on the type of apples used). Heat sugar over medium heat in a heavy saucepan until melted and amber in color. Be careful not to let burn. Add butter and whisk until combined. Whisk in cream (careful adding both cream and butter as it causes the mixture to seize and possibly splatter). Remove from heat and allow the caramel to cool slightly (it will thicken as it cools). Drizzle caramel sauce over crisp stuffed apples and serve with vanilla ice cream (see Peach Melba recipe for a homemade version).